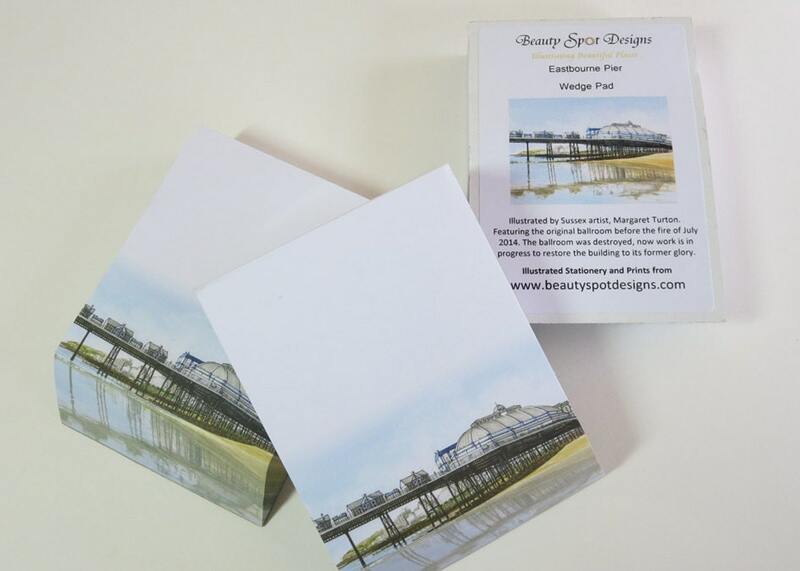 Wedge shaped notepad where the image becomes more and more complete the further down you go! 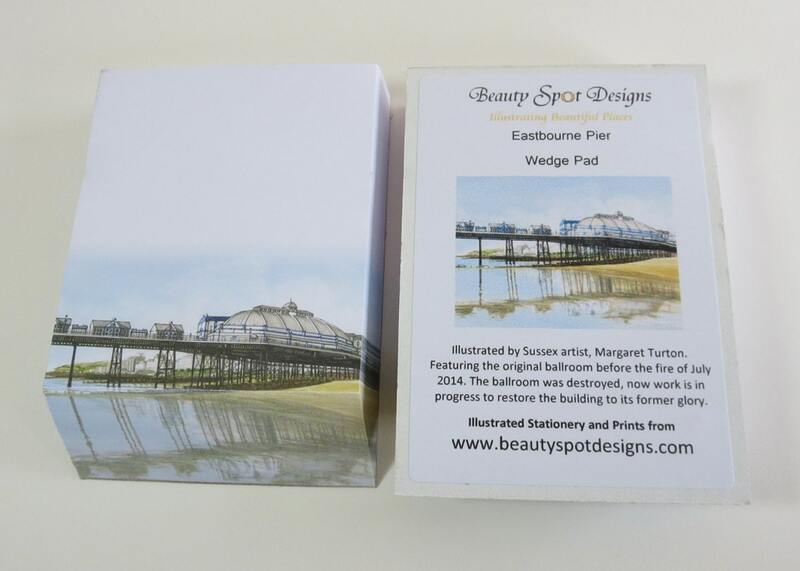 Illustrated with a view of Eastbourne Pier in East Sussex. UK. Text on the reverse: Illustrated by Sussex artist, Margaret Turton. Featuring the original ballroom before the fire of July 2014. The ballroom was destroyed, now work is in progress to restore the building to its former glory. A lovely little gift with a practical use! Great on any office or home desk.